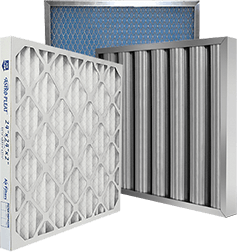 Stainless Steel Frames | Air Filters, Inc.
Titan Frames™ Stainless Steel Pad Holding Bank Frames are used to construct built-up filter banks for upstream or downstream access using ASHRAE rated filters. These frames will accommodate up to 12” panel filters. They are suitable for bag filters, self-supporting rigid filters, metal washable filters and disposable type carbon elements. A filter-to-filter seal is effected by a factory-installed gasket and positive-sealing fasteners.